Join us for Busses at the Brewery 2010! Music, Food, Beer, Cruise, Fun! 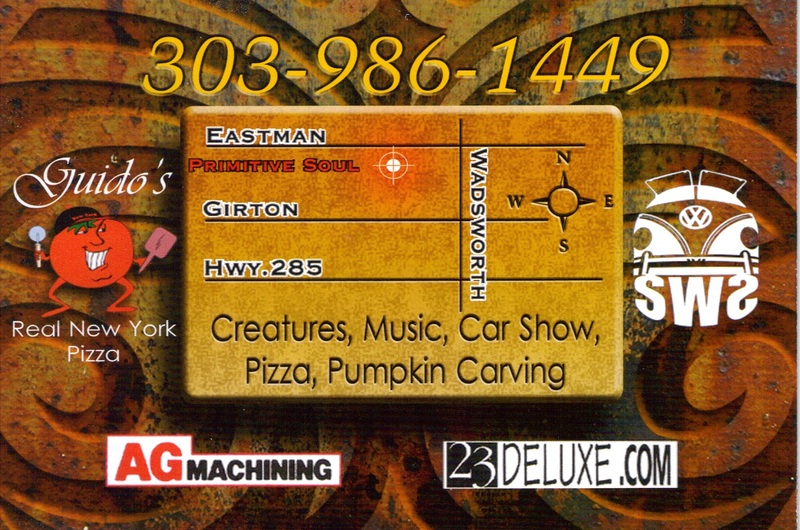 redeemable at Total Beverage in Thornton. Water and Air cooled event. Second year at Pikes Peak international Raceway with multiple class awards, best of show award, HUGE raffle and more! After last years success this year promises to not disappoint. 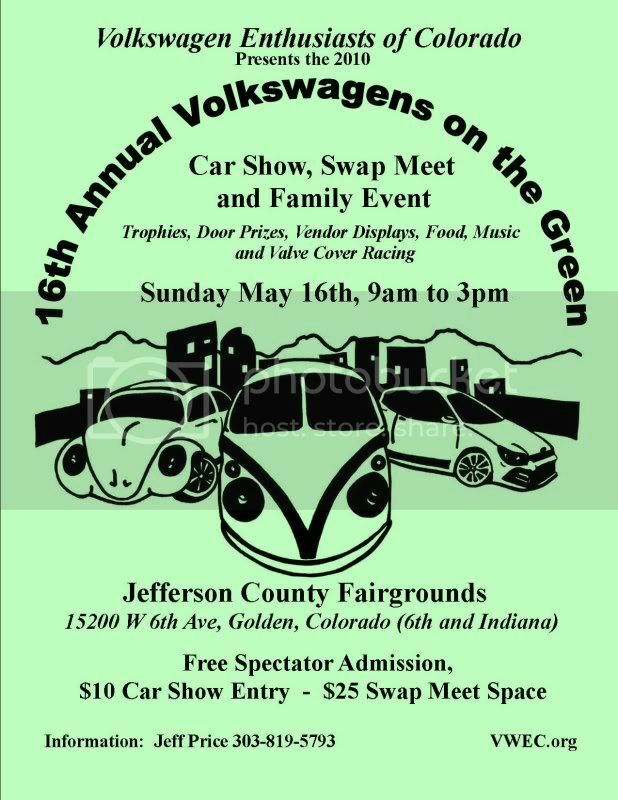 Calling all Volkswagens!!! The Colorado Bug In presented by NuVintage is the largest all-Volkswagen event in the Rocky Mountain Region. 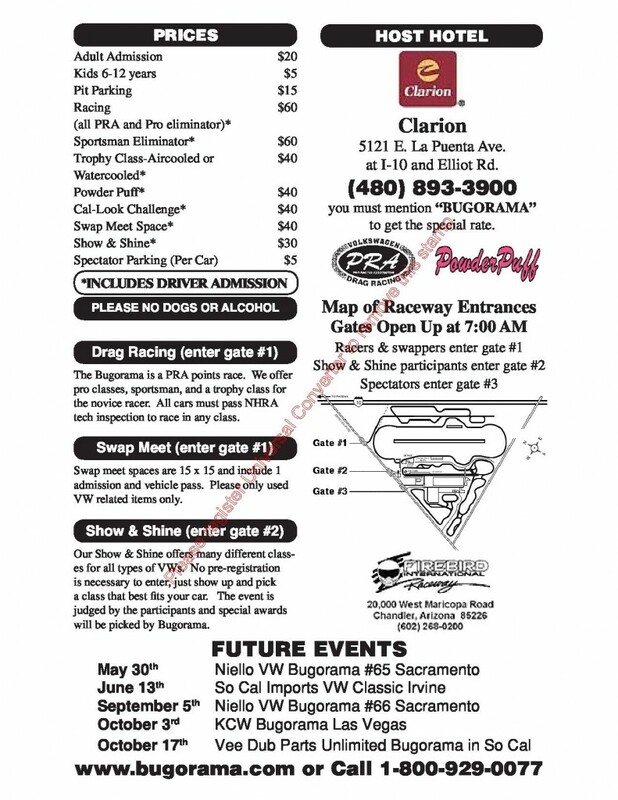 Drag Racing, Car Show, HUGE swap meet, vendor midway and Tons of other activities! Air Cooled and Water Cooled welcome in the show and the drag racing. NEW FOR 2010 – Painter’s Grinding Quick 8 class, quickest 8 Volkswagens bracket race for $200 winner take all!! 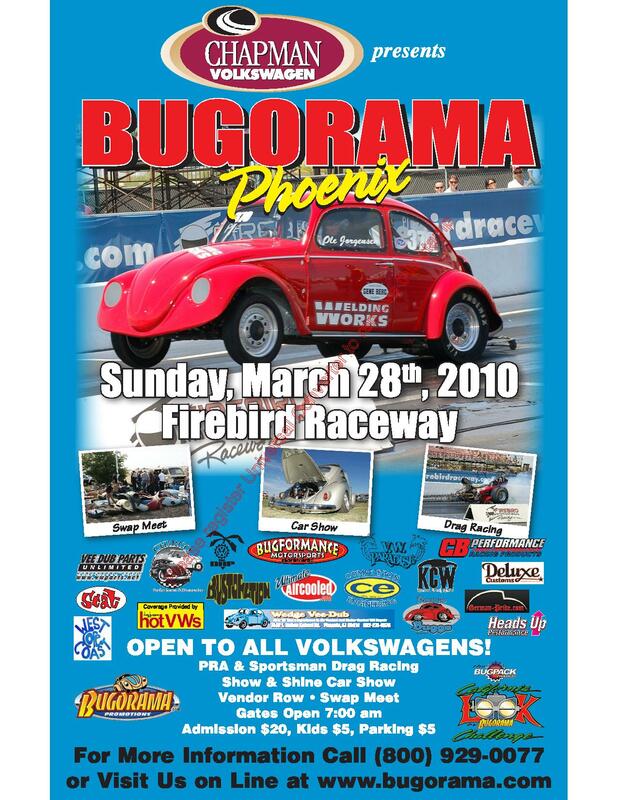 Go to www.bandimere.com for full event details and prices! EXPERIENCE THUNDER MOUNTAIN! 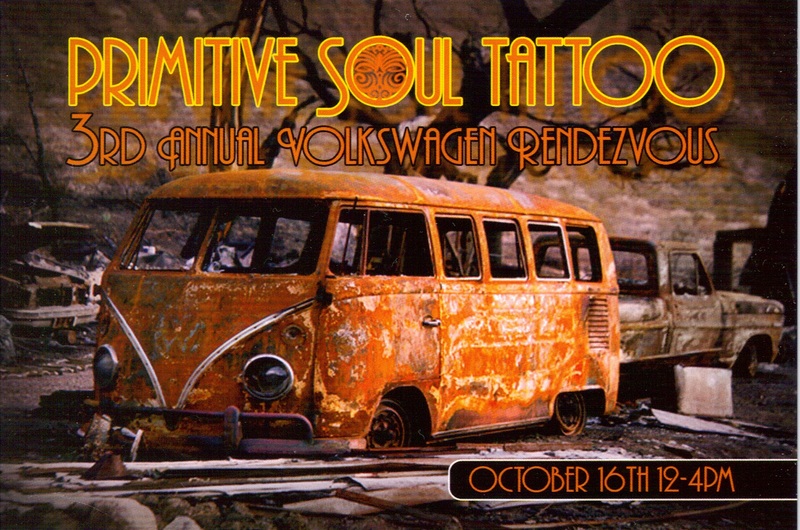 Come swap your vw stuff indoors. 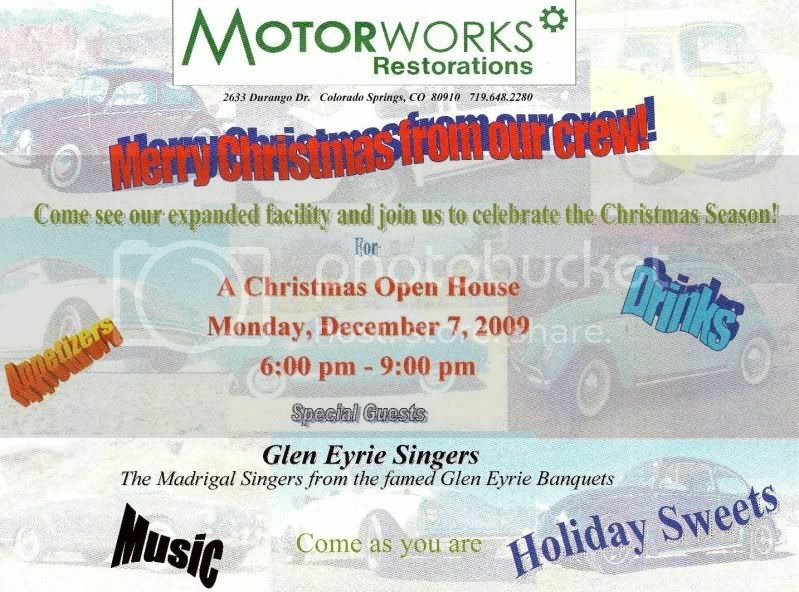 Jeremy’s having his Annual Christmas Open House Monday, December 7th from 6-9pm. Those of you that have gone before know what a great host Jeremy is and what a great time this is; good food, good friends, camaraderie, music & entertainment. Not to mention all the cool cars/projects you can check out in various stages. For those who haven’t experience this you have to leave this night open and stop by. Motorworks is also in a bigger, better building since last year so come on by.